A dark and intense fairtrade espresso coffee well suited to stove top makers and those fond of espressos in particular. The blend is strong and lively, with full-bodied, intense velvety textures and a sweet aftertaste. With an aroma of dark chocolate and black cherry, it is perfect for those who need something to kickstart their day! 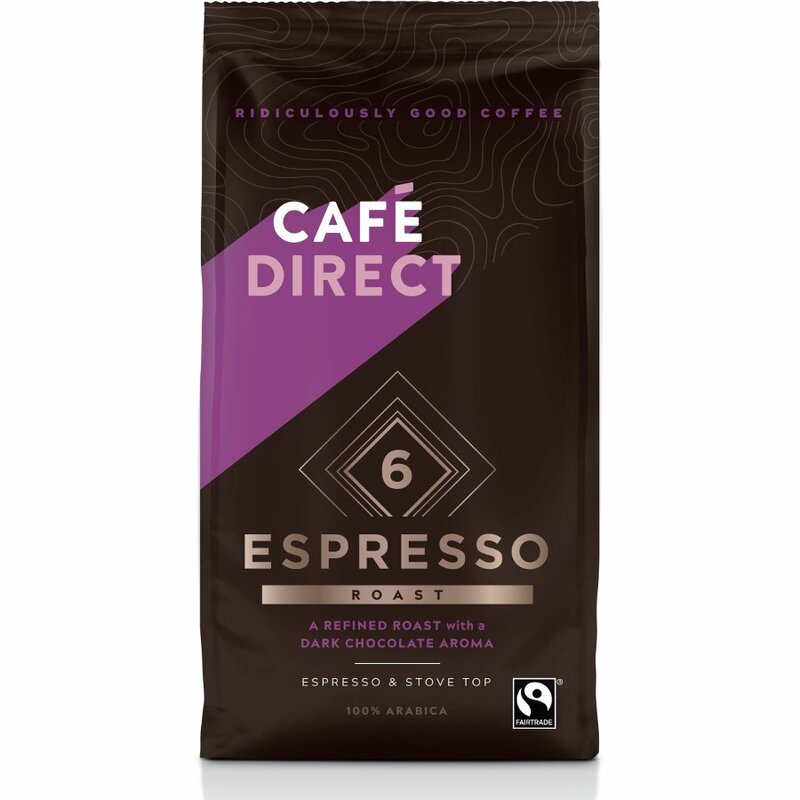 About the Producer: This coffee is produced by Cafédirect, the largest fair trade organisation in the UK, working with over 30 producer groups all over the world. The Cafedirect Espresso Ground Coffee - 227g product ethics are indicated below. To learn more about these product ethics and to see related products, follow the links below. Thoroughly agree with all the above positive comments. As good as (or better than, in some cases), an Americano in a coffee shop. 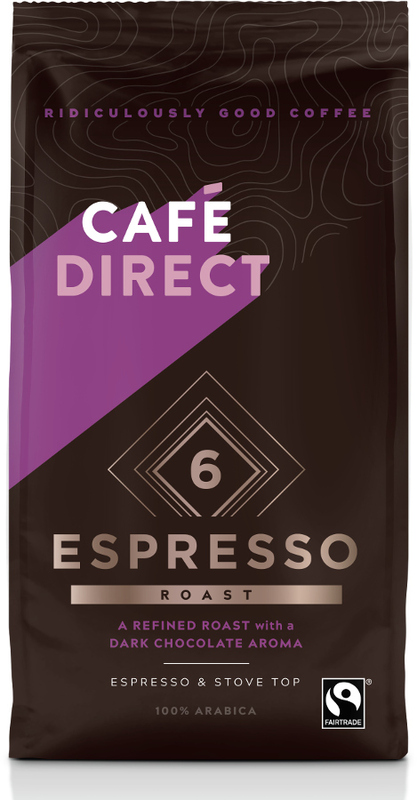 There are currently no questions to display about Cafedirect Espresso Ground Coffee - 227g.